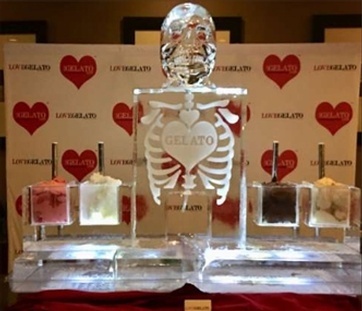 Love Gelato Events company is an extension of Love Gelato Café where we bring an elegant, unique and an unforgettable café experience to your event. 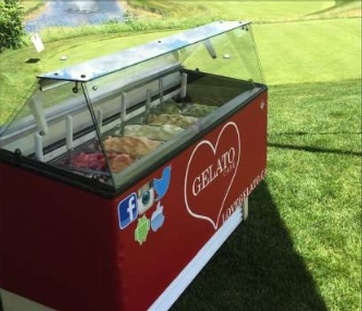 Originally established in 2014, Love Gelato Events was born in a backyard birthday party, expanding to weddings, corporate events, golf & sporting tournaments, and parties of any size and for any occasion. We tailor our services to all. 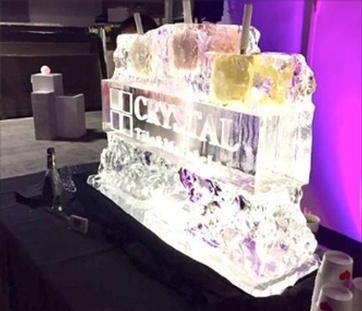 Our services include serving gelato and Nespresso café products, in a unique setting, which include serving gelato from Traditional Display Freezers or Magical Ice Sculptures – where your imagination can run wild and we’ll bring it to reality! Looking to surprise your employees during employee luncheons or appreciation days? 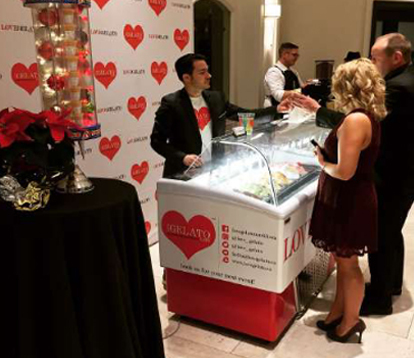 Love Gelato Events tailors to you with our custom pre-packaged cups, delivering specialty frozen desserts to you and your staff! Deliver the most unique Gelato Café experience where one can truly be immersed in our love while exceeding client expectations through our products, unique experience and exceptional customer service. Book Us today and experience true love at your next event!